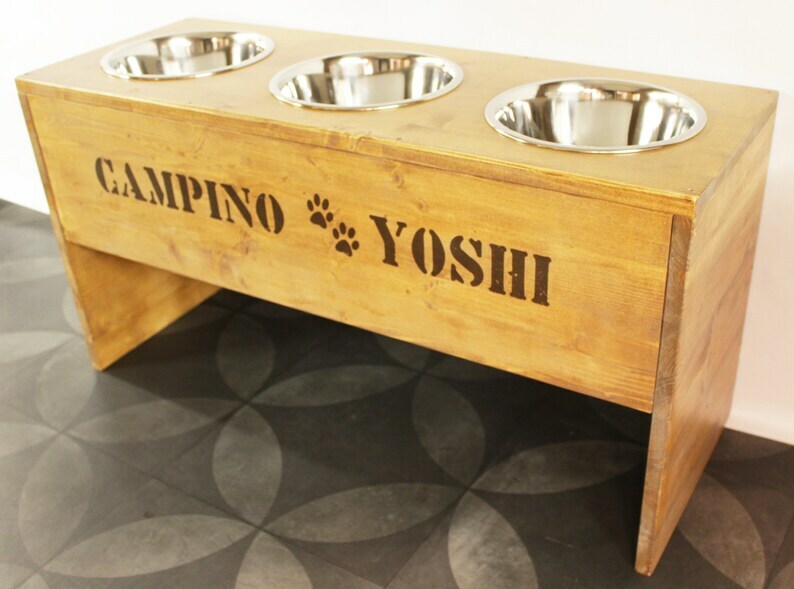 For several four-legged friends, we offer this charming feeding station with three nails. The sizes M, L and XL are suitable for smaller dogs, kittens, medium-sized and very large four-legged friends. The multi-food station comes in two colours: Vintage Oak (beautiful wood tone) and vintage Pearl (white tone). There are also two fonts to choose from. A special highlight is the individual imprint ♥ (e.g. names with hearts, stars, paws, anchors, etc. ).